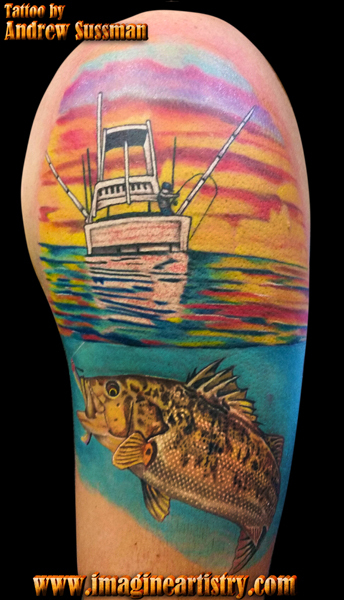 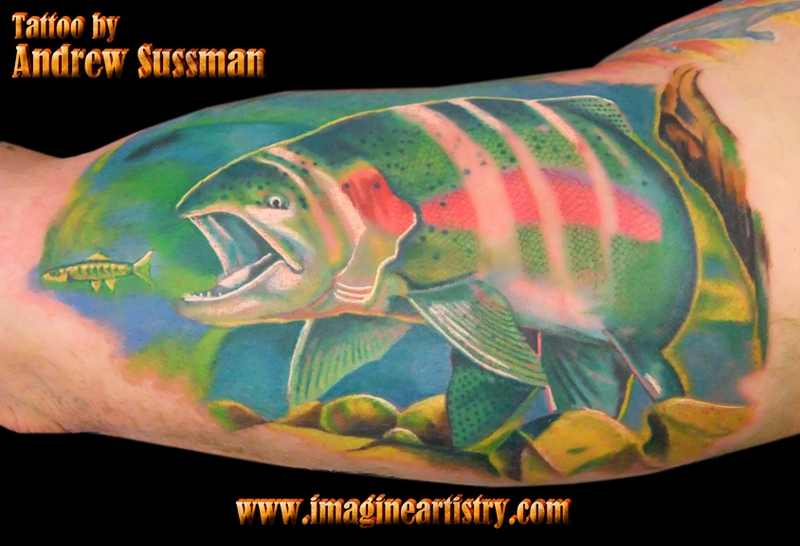 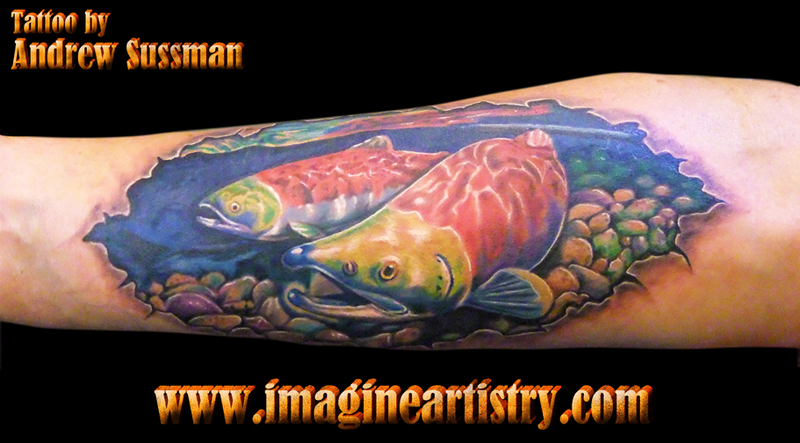 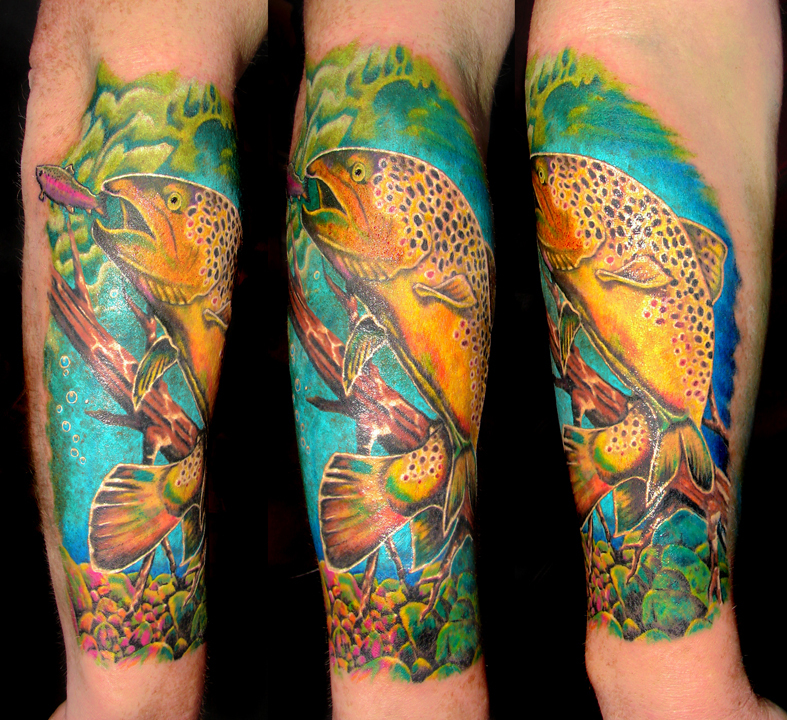 If youre looking for a tattoo artist in Spokane, Wa who does freshwater fish, look no further. 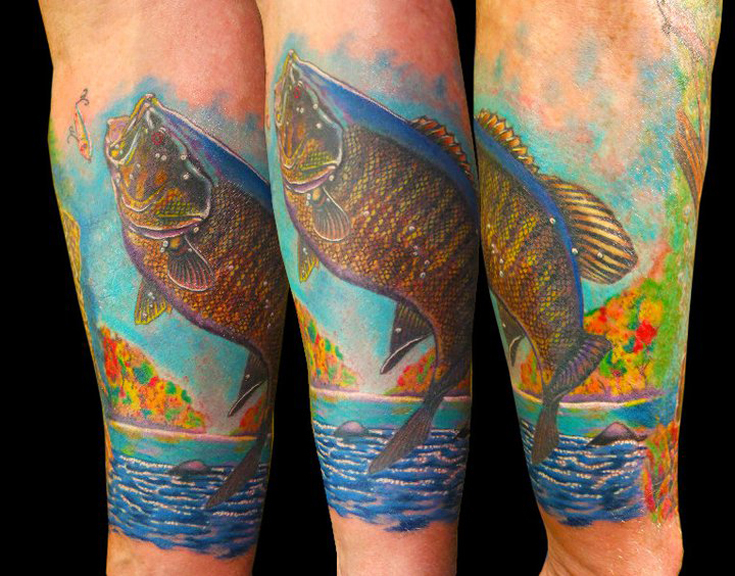 Not only does tattoo artist Andrew Sussman create fine, realistic freshwater fish tattoos, but he puts them into full scenes with backgrounds and other natural elements to give it a truly natural feel. 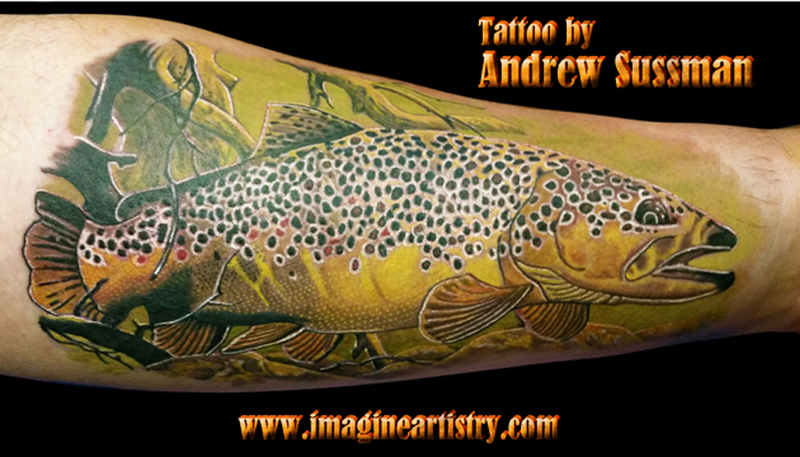 Anyone can slap a fish on you, but it takes talent, knowledge and a good artistic eye to give it a full scene like it belongs somewhere.